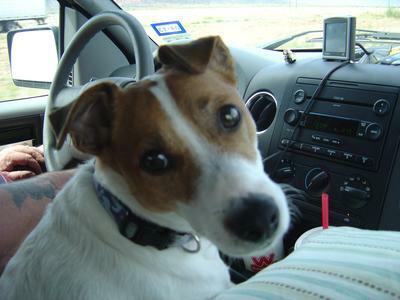 I have 2 Jack Russells and love them both tremendously. We had a Black Lab and then got Yeti for a companion. Her and Shadow were best friends. 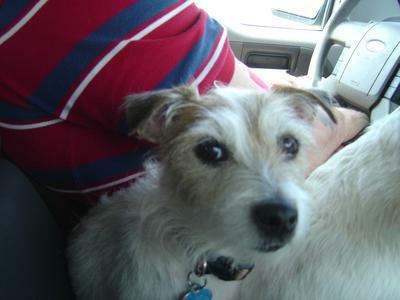 Shadow passed away over 2 years ago, but before she passed we got Yak (male), another Jack Russell. All 3 played so well together. Yeti (the female)used to love all dogs, we would take her, Shadow and Yak to dog parks and they would just play, play, play. After a while Yeti started getting aggressive towards other dogs, so we stopped taking them. This has been quite a while now and now when they see another dog, it's like fight on. I went to visit my mother and my sister brought her dachshund (female) and I warned them that my dogs are not very friendly with other dogs. Well needless to say they had her out in the living room, we woke up and Yak and Yeti ran out of the bedroom and literally attacked the dog. Yeti got her by the neck; Yak stood to the side, but was barking as if encouraging Yeti. Yeti didn't break any skin or bones, but that was terrifying. then him and Yeti have attacked each other in the process and they do draw blood on each other. Other than that they are the best dogs we have every owned. As a responsible dog owner, you definitely need to address this situation. I’m concerned that it is only a matter of time until the aggression you describe escalates to the point where a dog (maybe even Yeti) is seriously injured or a person is bitten trying to pull the dogs apart. The first thing you need to do is to avoid all of the situations that bring about Yeti’s (and Yak’s to a lesser extent) aggression. No more walks when there is even the slightest possibility of running into another dog and certainly no trips to the dog park. Every time Yeti and Yak behave in this way it reinforces the behavior and makes it more likely to continue. Behavioral modification for cases like this usually involves rewarding the dogs when they remain relaxed, calm, and focused on their handler (for instance when there are no other dogs around). Then, they are exposed to other dogs, first at a great distance and obviously while they are securely leashed. They are rewarded when they remain calm. If they become upset, the distance between the dogs is increased until they are calm and then they are rewarded. This process continues gradually until the dogscan maintain their good behavior (though probably still leashed) in the presence of other dogs. A veterinarian who specializes in behavior can teach you the most effective way of going about this and even prescribe medications that may make the process quicker and easier on everyone involved. The same thing has happened to my six year old jack Winstone. At first it was really upsetting. After taking strict control of the lead and putting yourself back in the top dog position praising good behaviour and ignoring bad then you will be laughing. Its very hard but you need to take control. Good luck.